On this page, you'll find the games I've made. Unless otherwise noted, they're free and open-source. I do plan on making some small commercial games in the future, but if those show up here at all they'll likely just be links to other store pages. 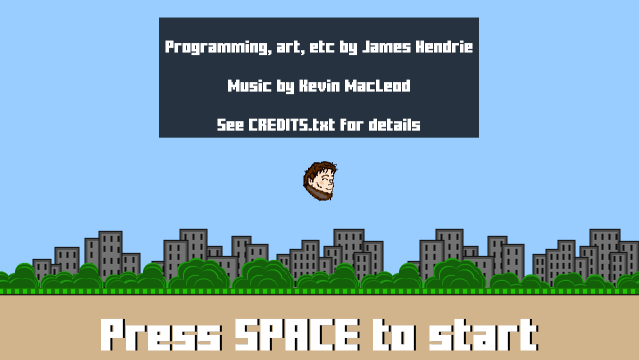 Flappy James is an entirely original title created by me and me alone. It is not derivative of any other game, in any way, and wealthy Vietnamese individuals who claim otherwise are not to be trusted. This game is licensed under the zlib license. The music and sound effects have different licenses; see the CREDITS.txt file for more info. Belted is a game about dodging asteroids in your space-car. It was initially going to be titled "RockDodger," but it seems that someone else already got to that name first. And the other guys put lasers in their game, too. Jeez, why do I even bother. Anyway, yeah, I couldn't think of what to call it, so I named it "Belted." I mean, it kind of makes sense, right? Asteroid belt? Belted? Eh? Eh. 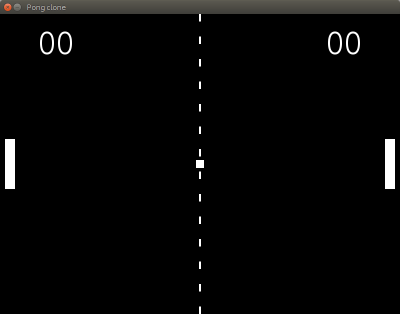 Pongo, as you may have guessed, is a Pong clone. It's made using SDL2 and requires 3D acceleration, because I like working with textures and renderers more than surfaces and blitting. This game is licensed under the 2-Clause BSD license.